These days the sky is the limit when it comes to weddings. 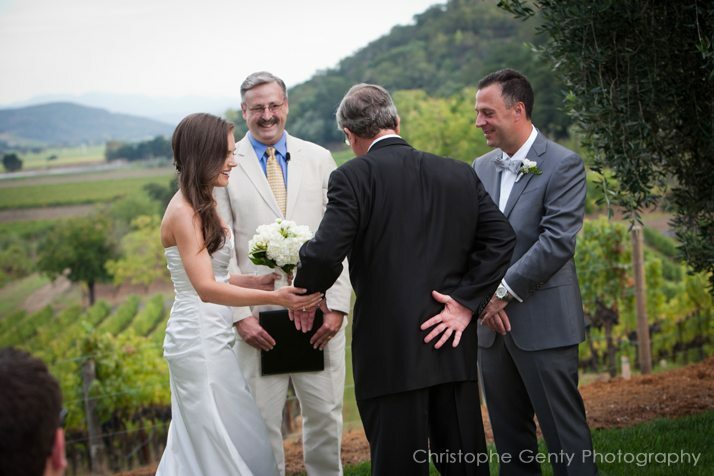 The paradise that is Napa Valley caters to every whim for your wedding. From luxury minded elopements or simple ceremonies at a vineyard or private home at sunrise or sunset as well as more elaborate events at a resort or bed and breakfast garden there is something for everyone. Mike Noel is an ordained, licensed, non-denominational wedding officiant. With many years under his belt, he has had the honor of presiding over ceremonies throughout Northern California wine country, different parts of the United States and other countries. When you engage us for your wedding, we guarantee you full service ceremony planning. When two people choose to join their lives together it in an important and unforgettable time. Your wedding ceremony, especially your vows, should reflect that. Michael will work with you to create special and unique vows to reflect the feelings you have for each other. He has experience in creating religious, spiritual, civil, and “short and sweet” or any combination to fit the feel of the moment. There is usually more involved than just a ceremony when it comes to a memorable wedding or elopement. If it’s just the two of your or two hundred of your closest family and friends let us help you take care of the lodging. The correct lodging is extremely important. For you and your partner a luxury suite, tucked away in one of our magnificent Napa Valley resorts is just the way to start off your new life together. If you have not found the perfect lodging yet, let us help you find it for you and or your guests. We are often able to get you rates and amenities at luxury properties that are not available to the general public. Just like all the other aspects of this special event, transportation is just as important. Arriving to the event in safety, comfort and luxury is essential. We work with only the best. From town cars and limousines to buses small and large, our transportation providers are experienced with all types of groups. We’ll work with you to fit your group size, venue and needs together to take one less item off your list. Do you need someone to do top to bottom wedding planning? Take the stress out of your big day, especially if you live far away. The perfect planner can help you make difficult decisions into fun choices with the right connections and finesse. 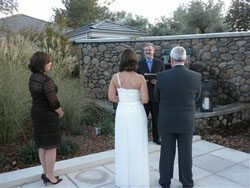 We have worked with many great and well connected wedding planners in the Napa Valley. Give us a call and we can refer you to the best. If you don’t need a wedding planner but just to be pointed in the right direction, we have many great options for you as well. If you haven’t found the perfect location that sets your heart on fire there are many hidden gems, offbeat and traditional suggestions we can recommend. We can refer you to different places that fit the size and feel you’d like to share on your wedding day. The options range from wineries, in vineyards, beautiful hotels, in a hot air balloon, or just a place in Napa Valley with a spectacular view. One of our favorite elopement ideas is in a hot air balloon over Napa Valley. Imagine floating over vineyards as far as the eye can see, watching the fog roll of the Mayacamas Mountains and the big, California sky unfolding above. You’ll flow smoothly over the lush green vineyards (or the riotous colors during fall), inhaling the crisp air, maybe you’ll find yourself brushing a wandering cloud or two. Few visions are as captivating as a balloon’s sun-cast shadow gliding effortlessly along the Napa Valley floor. All of this will be setting the stage for an intimate vow ceremony that you’ve handcrafted to be perfectly you. Whatever your heart desires, when you come to Napa Valley and work with us, your experience will be fun, romantic and stress-free. We promise to “Make It Happen” and help your celebrate your love for each other. We will help you handcraft a ceremony that is uniquely you and a luxury-minded getaway that you’ll sure to never forget. Find out more about what MG Concierge can do for you here.